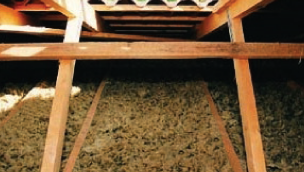 ROCKPRIME® is a mechanically installed, blown loft insulation system which uses granulated ROCKWOOL® to create a close fitting insulation layer in the loft space. The system is used to improve the thermal and acoustic insulation of new and existing loft spaces. It is quicker to install than rolled products and causes minimal disturbance. ROCKPRIME® must be installed by approved ROCKWOOL® installers. Ideal for new and existing attics. Quicker to install than rolls. Offers no sustenance to vermin. For further technical detail on the Rockwool Attic Insulation used by John O’Leary Home Improvement Services – click on the link below. As with all of our products our all inclusive service starts with a free in home consultation and quotation arranged at your convenience. Call us now on 027-66115, 021-4966612.